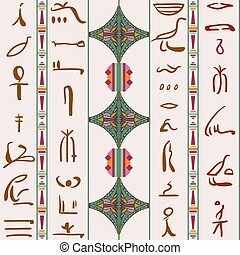 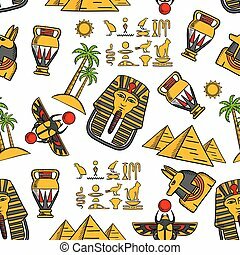 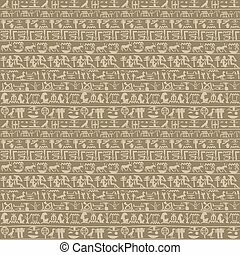 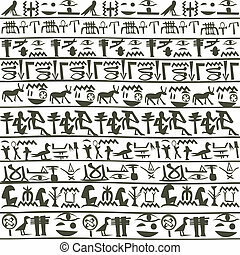 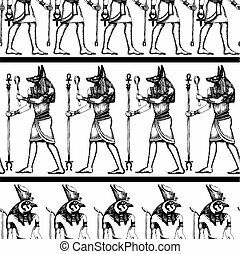 Seamless pattern with multicolored ancient egyptian hieroglyphics on papyrus old paper background. 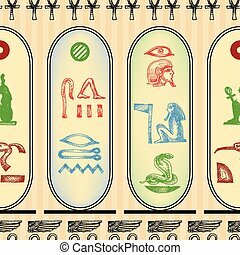 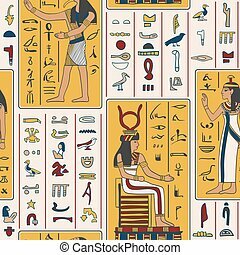 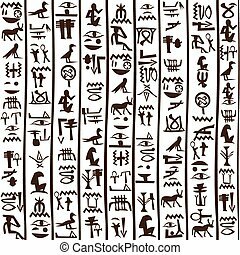 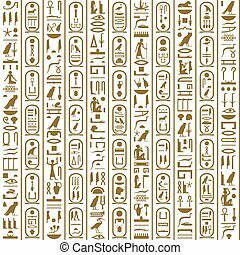 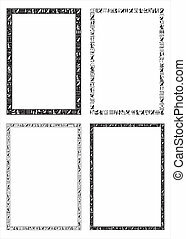 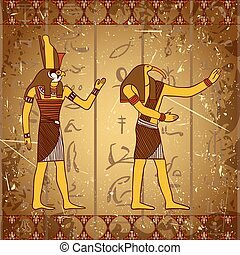 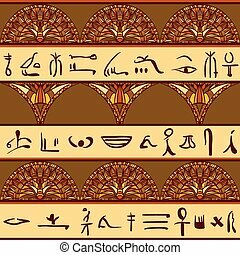 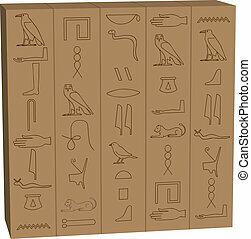 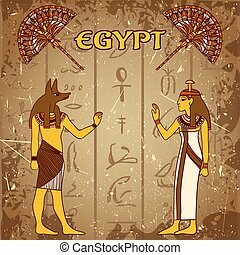 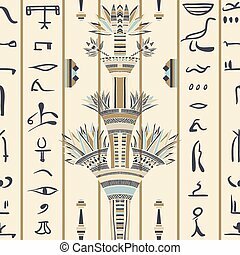 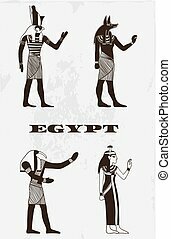 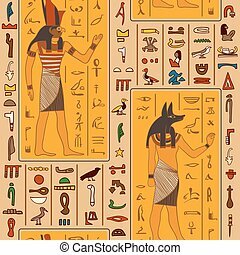 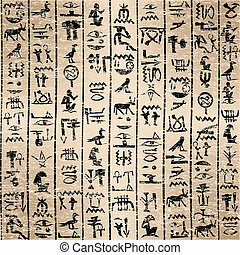 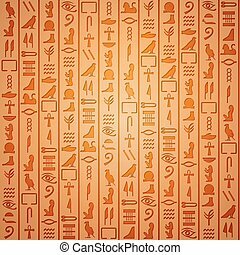 Decorative frames with ancient Egyptian hieroglyphics for website design and print A4. 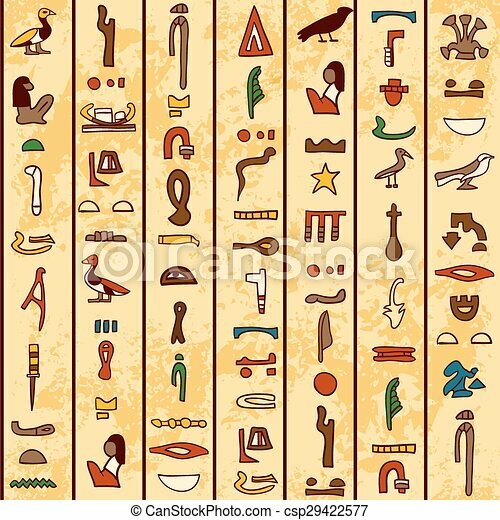 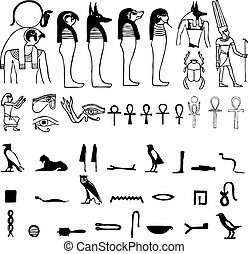 This is a set of vector Egyptian hieroglyphic icons on stone tablets. 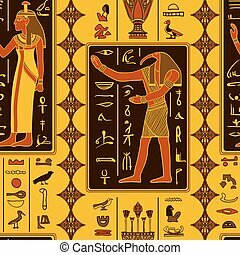 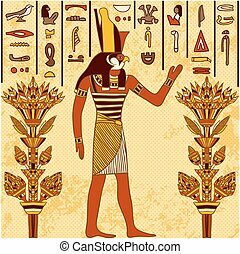 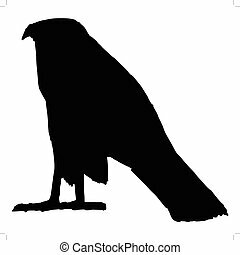 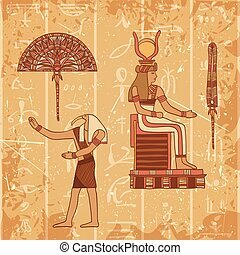 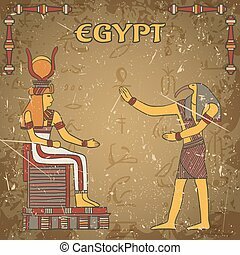 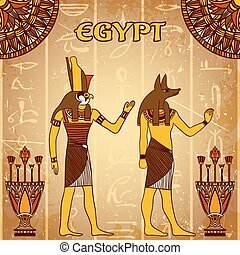 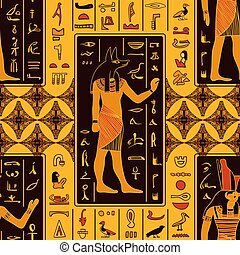 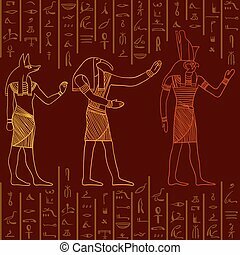 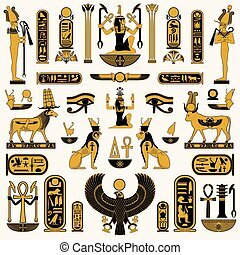 Ancient Egyptian symbols and decorations in yellow-black color design.